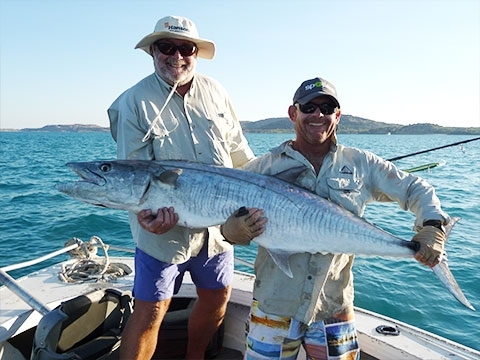 We will totally customise your fishing adventure! 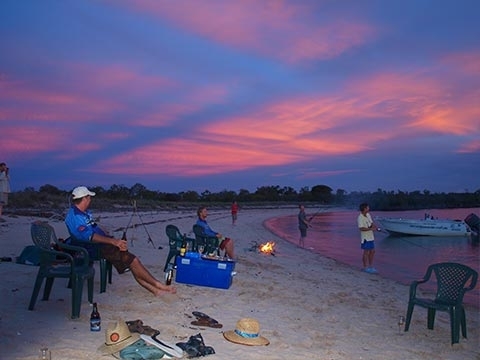 With locations available including Arnhem Land, The Tiwi Islands, The Wessel Islands, The Perron Islands and beyond, not to mention the wilds of the Kimberley Coast, the places we can’t take you aren’t worth fishing. 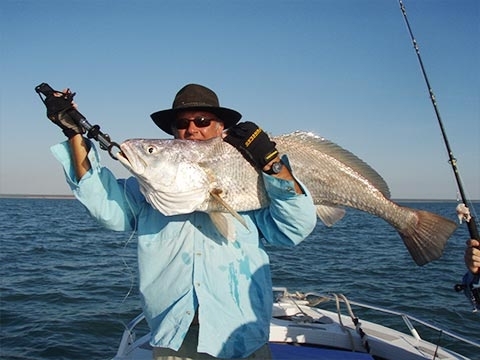 Whether it’s mackerel or mud crabs, bottom fish or barramundi, if it swims with fins, you’ll catch it with us. 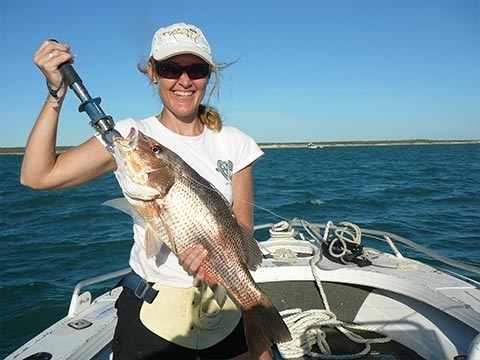 Darwin Bluewater Charters is a Northern Territory and Western Australian licensed fishing tour operator. We have 3-4 crew on board at all times who are fully qualified and experienced. 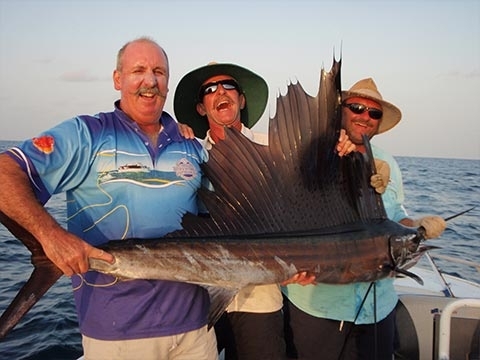 Our week long adventures are the ultimate fishing and social holidays especially for small groups of no more than 7 clients with our preference being for 6. You can organize your own group or join a share charter and once you step on board you don’t have to worry about another thing. 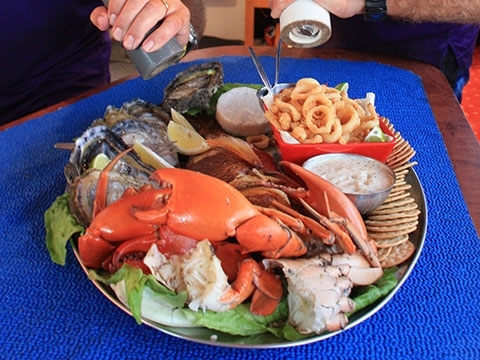 We provide a service that is all inclusive of meals, soft drinks, snacks and all your fishing tackle. All our charters are uniquely tailored to each group to ensure that you get the most out of your trip. 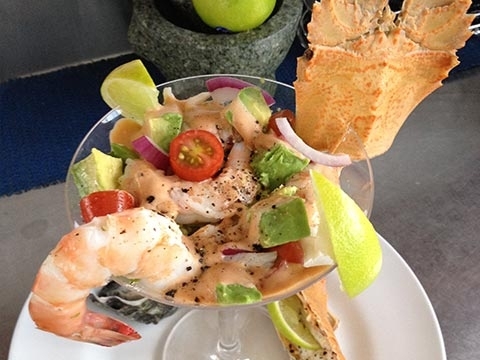 Below we have listed a couple of sample itineries to whet your appetite. 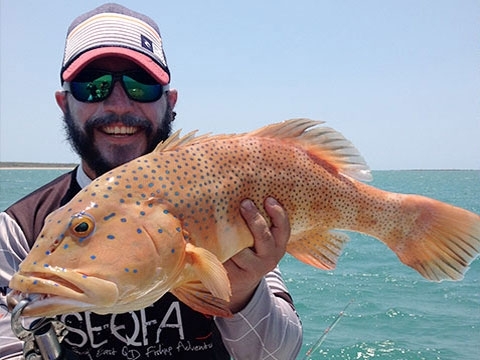 These itineries all include a flying option which helps to maximize your time on the water and fishing, with the added bonus of being an adventure in itself. If this is not for you, never fear, we have plenty of adventures where you can float both ways. 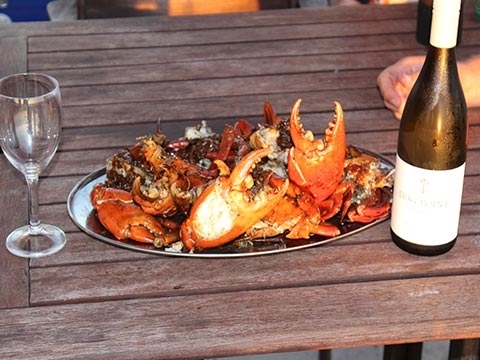 If you choose to book with us you will be provided with our standard, high level of personalised service in creating an experience to suit your needs. 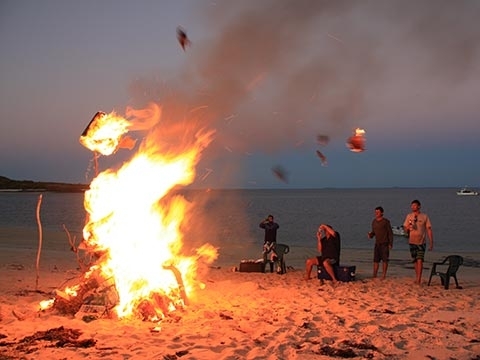 Note 1: As our trips operate in very remote areas, it is strongly advised that you take out adequate travel insurance in case of an accidental mishap or sudden health issue etc, which may require an emergency remote area evacuation. 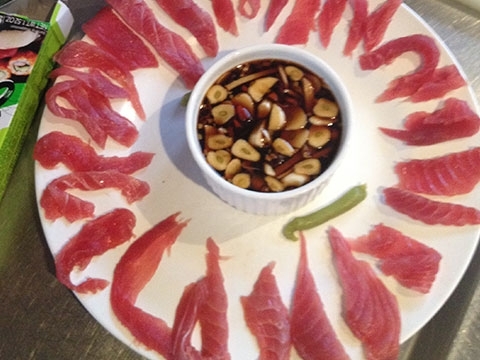 Note 2: We are a fish friendly charter operation practicing 90% catch and release fishing. 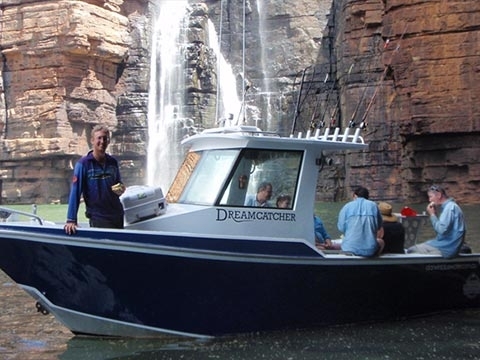 The keeping and freezing of any fish fillets on our trips is minimal, but a few frozen fillets per person can be arranged on request on NT based trips only. 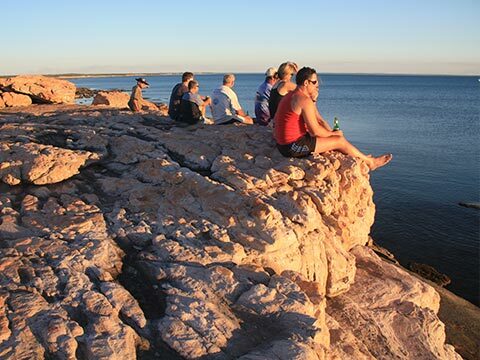 (8.00am): Meet up with the crew of Hyland-C in Darwin at the Cullen bay Marina ferry and fuel jetty. Begin steaming our way towards Anson Bay, Cape Scott and the Little Moyle River. 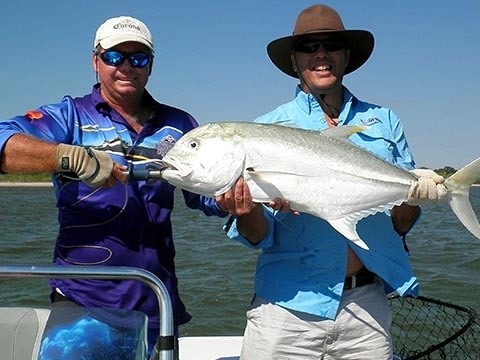 Situated some 120 nautical miles South West of Darwin, the Little Moyle has a reputation for excellent barramundi fishing. 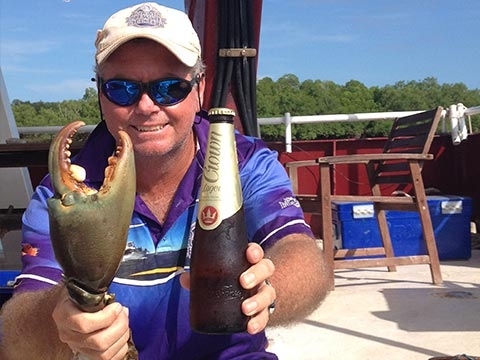 The fact you have to pass some of the best offshore reefs and islands off the Top End to get there makes it a very inviting destination with the whole trip providing a great variety of fishing from barra to bottom fish and bluewater pelagics, we can cover the lot on this 6 night trip. 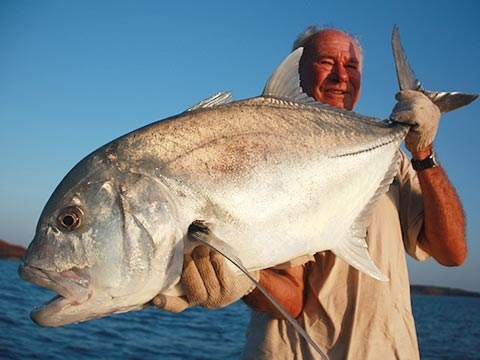 As we transit down the coast around Dundee Beach, Point Blaze and the Peron Islands area we target high tailing Queenfish, Giant Trevally, Longtail Tuna and Spanish Mackeral. 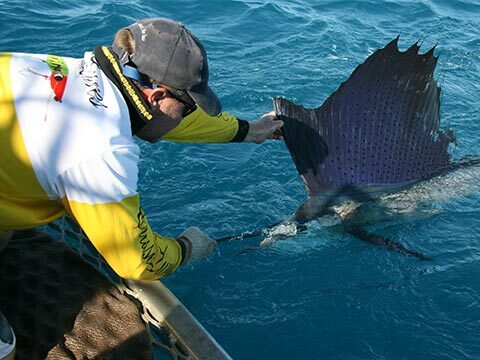 Billfish are also a real chance as well, whilst trolling the bluewater around here. 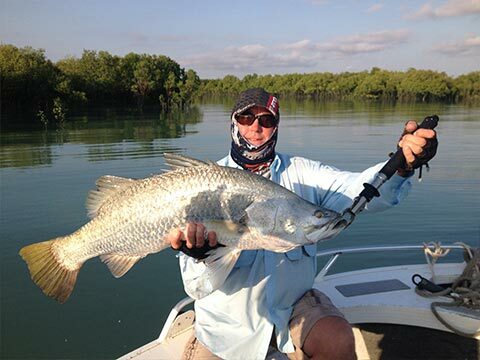 Spend today chasing barramundi in the small discreet creeks of Anson Bay, around the mouth of the fabled Daly River. 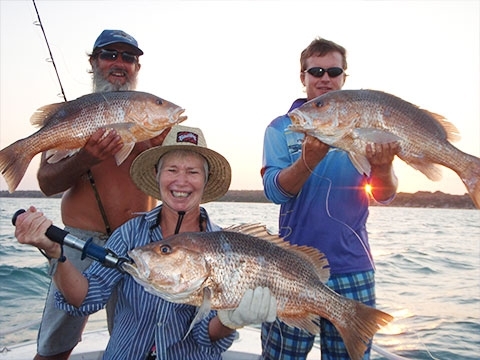 We then move further south-west, fishing along the way and ultimately ending up at the Little Moyle River. 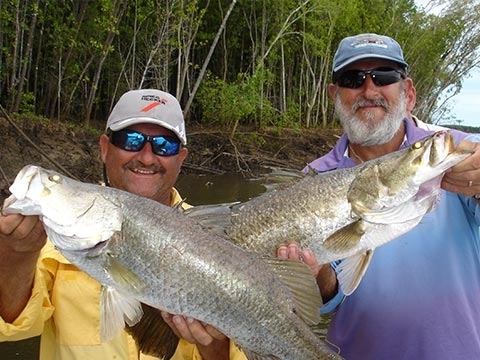 A few small unnamed creeks are well worth a fish in passing, not to mention some rocky headlands and sandbar islands. 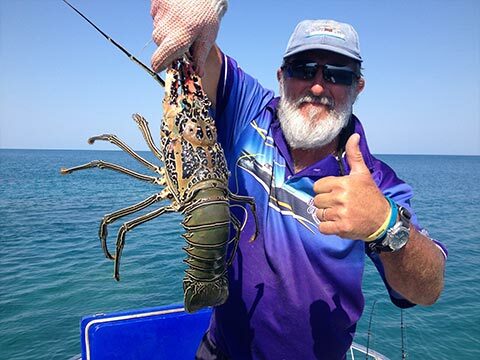 Up the creeks and rivers you can expect to catch Barramundi, Threadfin Salmon, Mangrove Jacks, Fingermark Bream, Trevally, Queenfish, and of course Mudcrabs. 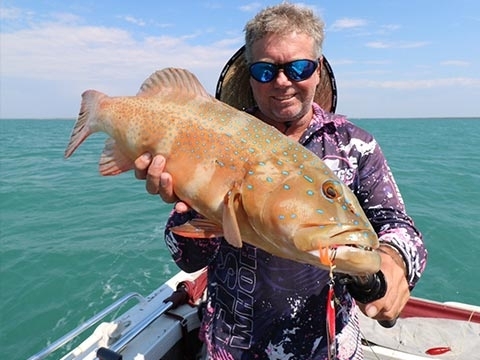 The reefs offshore from the Little Moyle provide top quality fishing for Golden Snapper, Jewfish, and Spangled Emperor with the occasional Red Emperor and Coral Trout also coming over the side. 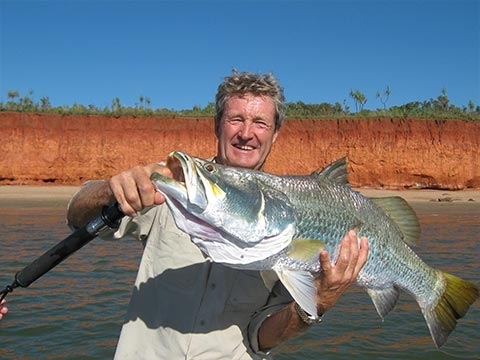 The big Moyle River, another 15nm further down the coast, is a primary target and some of the biggest barra we’ve caught to date have come from this river. 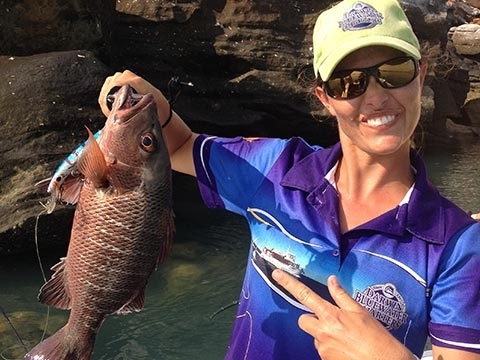 Transit back up the coast trolling the bluewater and chasing tuna along the way, before arriving at Dundee Beach for a 3pm rdvz with a minibus which will transfer you back to Darwin by road, having you back in town by 4:30pm. 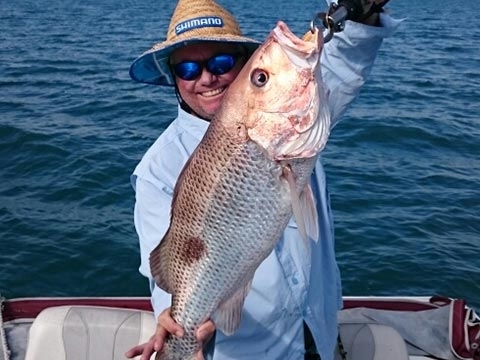 The emphasis put on either barramundi or bluewater fishing throughout your trip is entirely up to you but generally we find most trips end up spending around 60-70% of the time focused on barra/creek fishing. There are so many islands in the Admiralty Gulf/Montague Sound area that the below is just a sample itinerary. 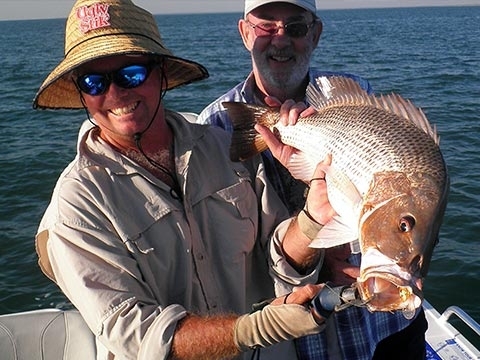 Weather conditions and your preferred fishing styles will dictate our final game plan. 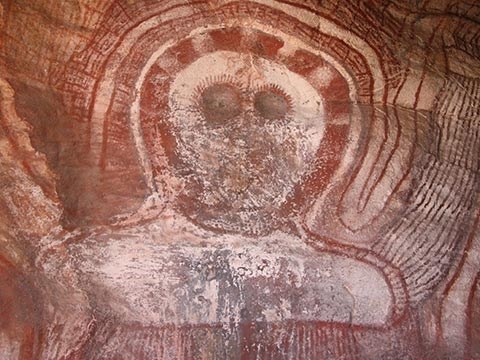 (7.00am): Hotel pickup in Kununurra, WA, then buckle up for a 90 minute super scenic float plane air transit over the Kimberley coast and islands, land on the water beside the mothership, MV Hyland C, in the mega remote Mitchell River. 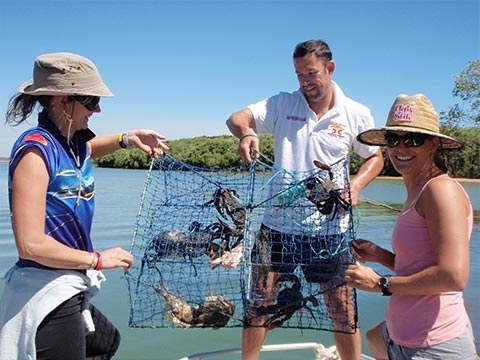 Enjoy a welcome aboard morning tea then spend the remainder of the day fishing for barramundi and assorted other estuarine terrors of the Mitchell. 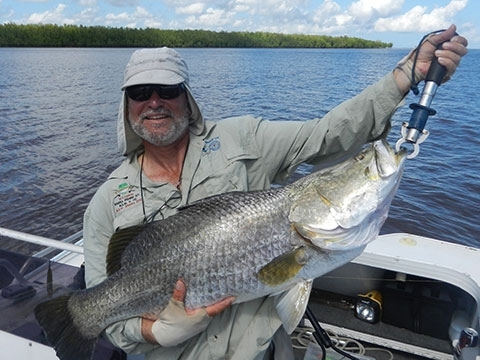 Fish and explore the mighty Mitchell River with our prime targets being barramundi, threadfin salmon, mangrove jack, fingermark bream and mudcrabs. 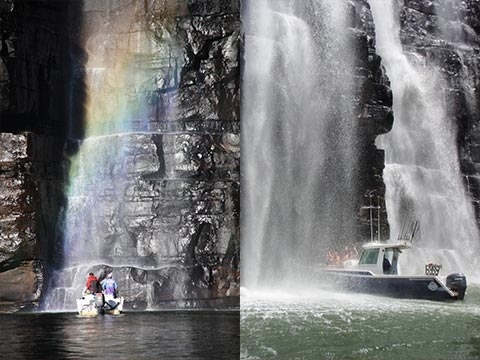 Cool off at Surveyors Creek freshwater cascades for a picnic lunch. 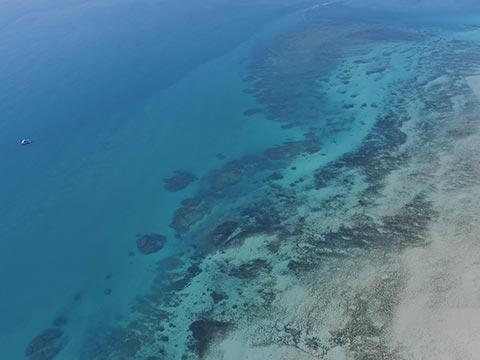 Head offshore where we begin a dedicated Sailfish and Marlin assault with Tuna and Spanish Mackerel as a side bet. 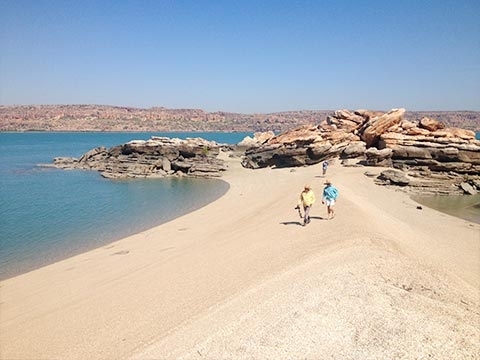 Stretch your legs and explore the beautiful beaches if you need a break from the fishing. 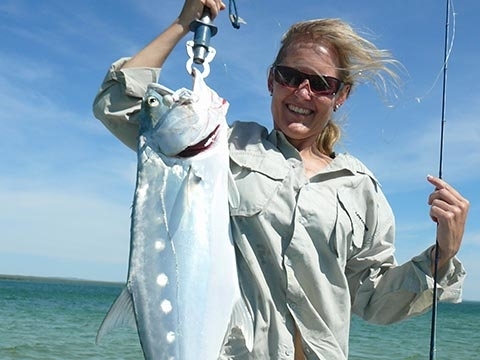 Kimberley Bluewater sportfishing at its best around countless islands, reefs and headlands where you can expect Giant Trevally ranging in size from the manageable to the unstoppable , Spanish Mackerel, Queenfish, Coral Trout, and stud Golden Snapper. 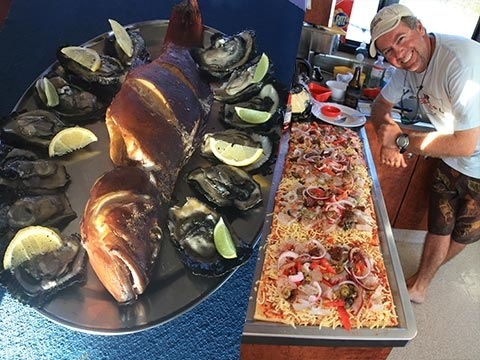 Another day of top notch bluewater sportfishing around the islands and reefs of Montague Sound before taking up anchorage in a discreet and extremely scenic bay. 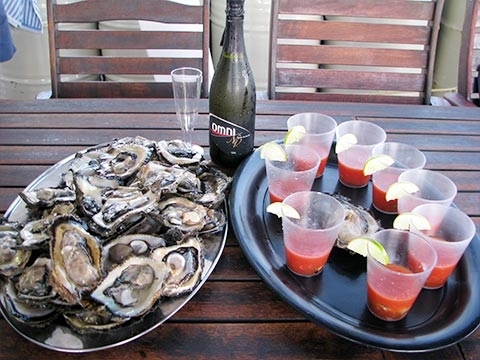 Sneak up a small creek for some big mangrove jacks and chip yourself a dozen huge black lip oysters from the rocks. After some more GT and Queenfish action and an optional look at some ancient Aboriginal rock art, conclude the day with another champagne Kimberley sunset. 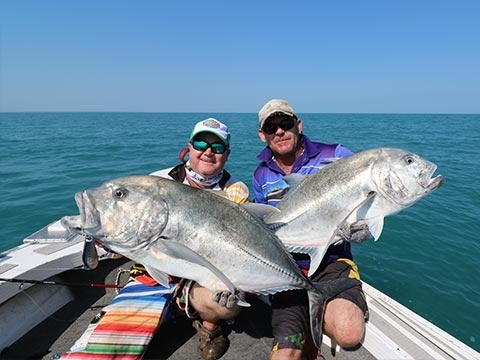 Find out more about our experience and why we are one of the most respected guided fishing tour operations in the Top End, offering a formula other operators just can’t match.